A solar powered energy unit, an ethical retail website and a paper-stretching device for watercolour artists were just some of the entries in our Big Idea Challenge. The annual business competition invited entrepreneurial students and graduates to identify a problem and solve it with a view to creating a business. Candidates competed through two grueling rounds until ten entrants reached the final stage – a business pitch to a panel of successful entrepreneurs. The judges in our panel were Frances Brown, Creative Enterprise Manager in Accelerator London, David Young from NACUE, Graham Ruddick from Digital Doughnut and Stephen Buxton. The winners of the Challenge received access to a prize fund of £30,000 and support from London Met’s business incubator, Accelerator, to help get their enterprises up-and-running. The Big Idea Challenge Awards Ceremony was held on Wednesday 7 May at BL-NK, Old Street, where the winners were announced. The winner this year was Georgia Bacco, MA International Marketing Communications, who devised a solution to a major problem facing Italian women living in London. “In Italy there is a very different approach to gynaecology than in the UK, and many Italian women feel they need to fly home for appointments,” explained Georgia. “Worryingly, many of them decide to skip appointments altogether, taking a real risk with their health. It’s something that my friends and I saw as a problem and so I started to think about solving it. Georgia was delighted to win the top prize and says she will put the money towards securing her new business premises. Georgia’s idea was one of many innovative and creative entries to the Big Idea Challenge which showcase London Met students’ ability to think outside the box to solve real world problems. Graham Ruddick, CEO of social business-to-business company Communitize, headed up the judging panel. He said: “All of the finalists in this year’s competition were very impressive. Their ideas were not just creative and constructive, but credible as well, which is really important. They showed how their businesses were viable and would actually work. The competition reflects how enterprise is thriving at London Met, with entries being submitted from all four faculties in the University – entries were up 172% on last year’s competition! Paul Bowler, the University’s Deputy Chief Executive, said: “The massive increase in participation this year is very encouraging, and ties in very well with the enterprise agenda we have at London Met. 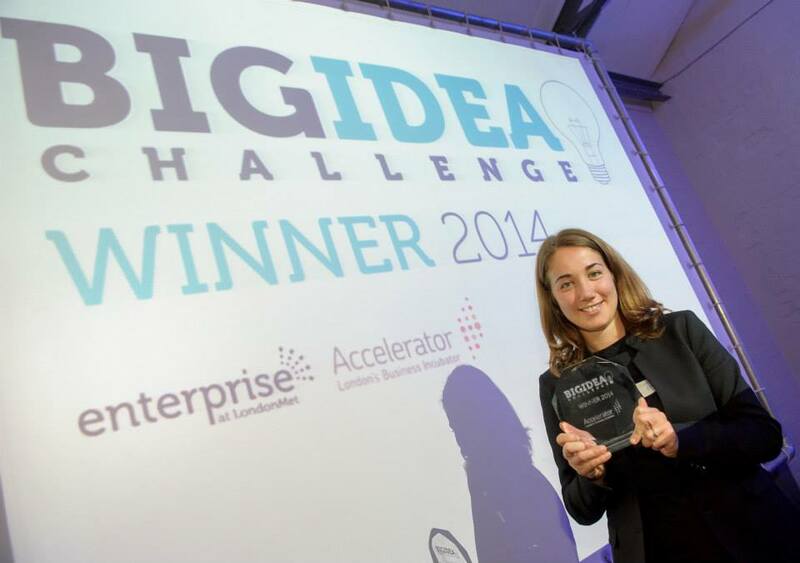 Congratulations to all winning entries and everyone who participated and was involved in Big Idea Challenge!